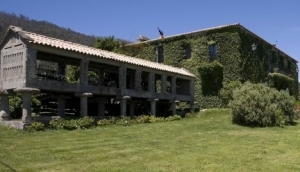 A Pazo is a traditional galician mansion house which has been converted into a hotel. So like the state-run paradores they are special places to stay, full of architectual interest and scenic charm. We cover a small but varied selection here. Pazo do Souto is one of the first rural tourist mansion houses that opened in Galicia and has a well deserved fame of being one of the best establishments of it's kind..